How would you react if most of the news and references to your religious, racial, or ethnic group was negative? How do you think this might shape people’s opinions and feelings toward you and your group? To whom is this happening currently? To whom has this happened historically? Edina Lekovic will talk about this phenomenon in today’s media and make suggestions for how to deal with it. Until recently, Edina Lekovic was Director of Policy & Programming at the Muslim Public Affairs Council frequently acting as a national spokesperson for the American Muslim community to media outlets, government officials, interfaith leaders, academic institutions, and community organizations. 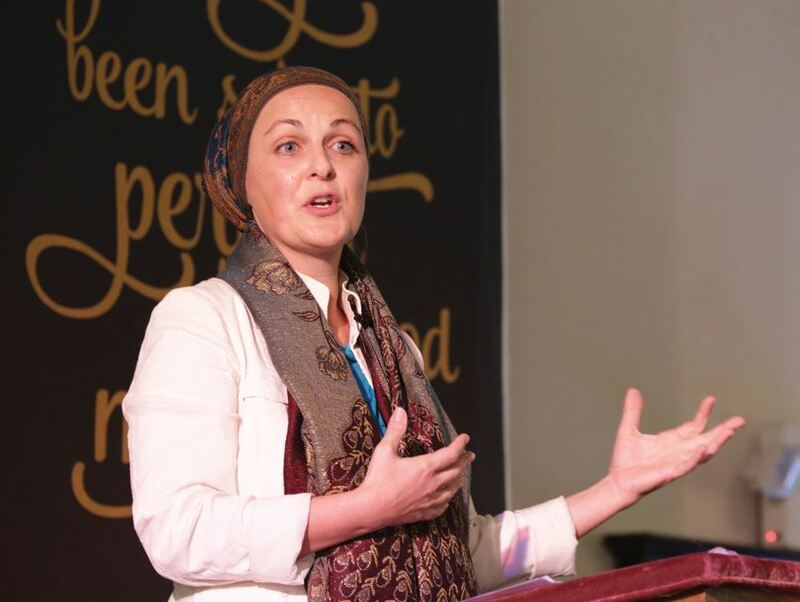 She was named one of the 10 Most Inspirational L.A. Women of 2015 by Los Angeles Magazine, and in 2009 one of the 500 most influential Muslims in the world by the Royal Islamic Strategic Studies Centre in Amman, Jordon. Edina has recently started a new venture in the world of broadcasting as the host of a podcast series entitled “Meeting the Moment” in which people tell the story of how they turned what they thought were devastating challenges into opportunities. Register online: https://wacinlandsocal.org or by mail using the coupon on the flier you may download and print below.